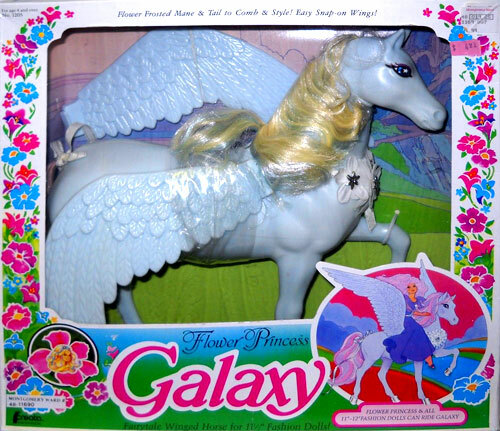 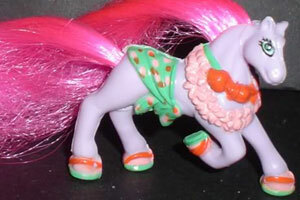 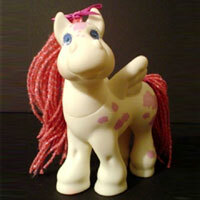 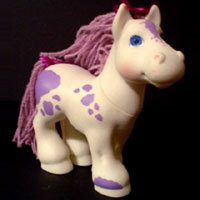 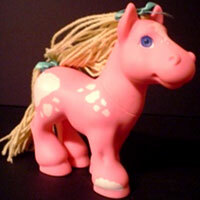 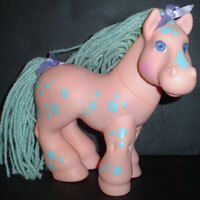 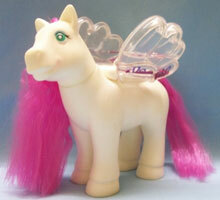 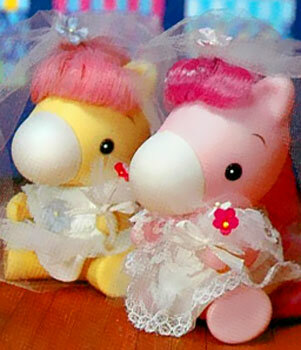 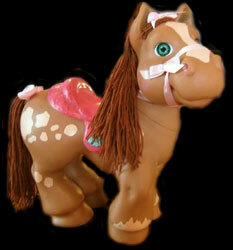 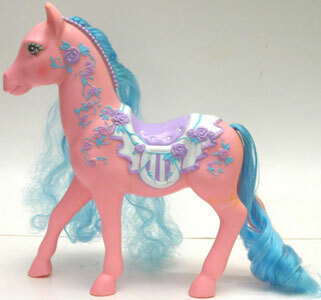 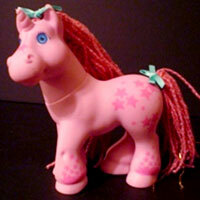 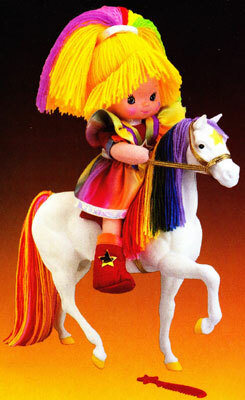 Magic Meadow Ponies were produced by Hasbro in 1993 and were part of the Cabbage Patch Kids line, and an extension of the Crimp n' Curl Ponies which were released in 1992. 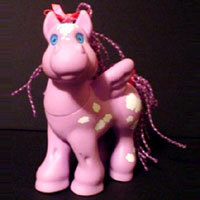 They were very similar to My Little Ponies, only a bit chunkier. 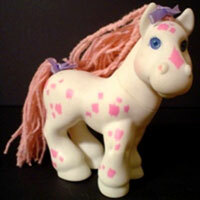 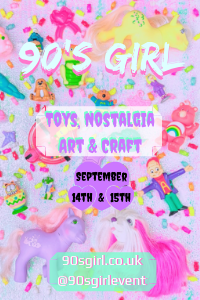 Each pony came with a birth certificate with their name, birthday, weight, height and personality, plus a brush and one or two other small hair related accessories. 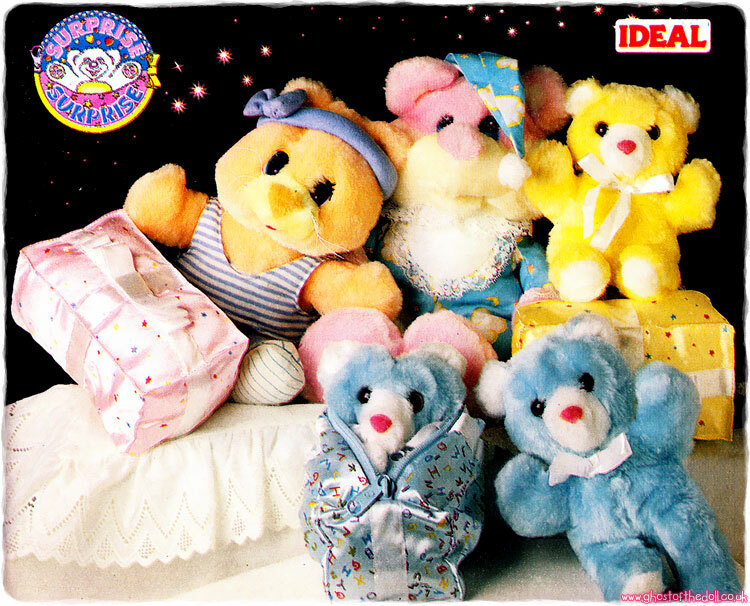 Their names were pretty unimaginative, sticking to the same six for each set. 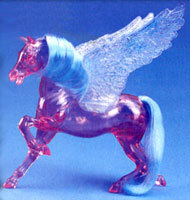 Images on this page thanks to Jana! 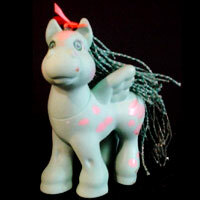 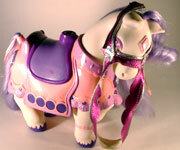 View all Magic Meadow Ponies on eBay.com or eBay.co.uk ! 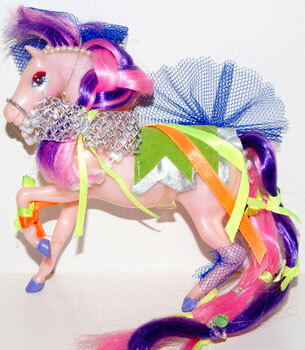 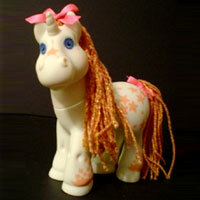 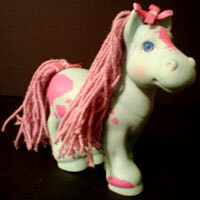 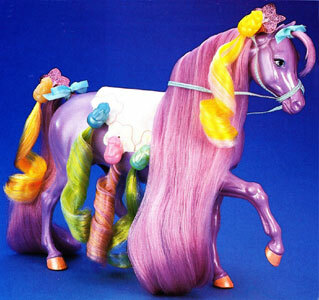 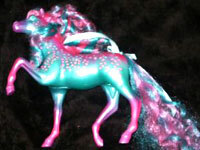 The first set of six Crimp n' Curl Ponies were all "earth" ponies. 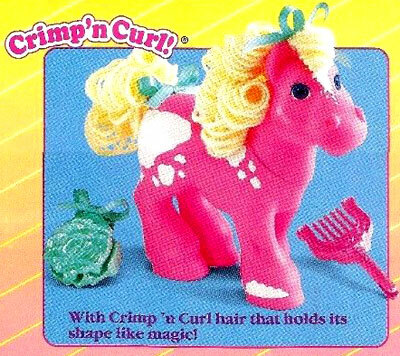 They had slightly waxed yarn hair which could be styled with the crimper and curler they each came with. 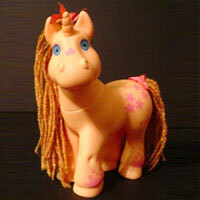 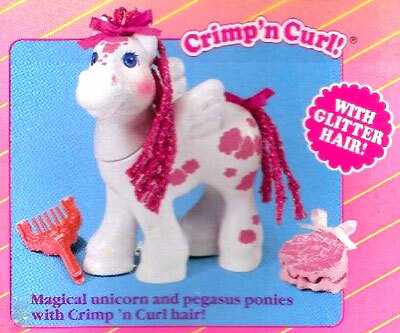 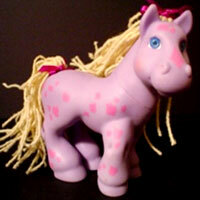 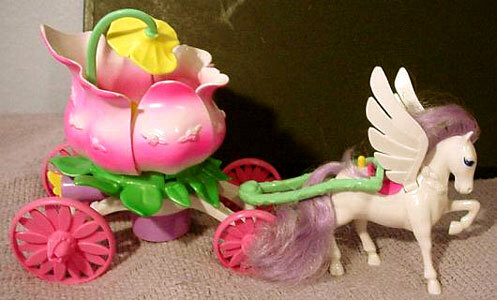 The second set of six Crimp n' Curl Ponies were made up of three unicorns and three pegasi. 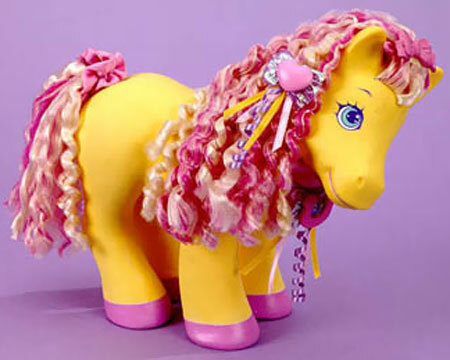 They all had tinsel in their yarn hair and came with a crimper and curler each.